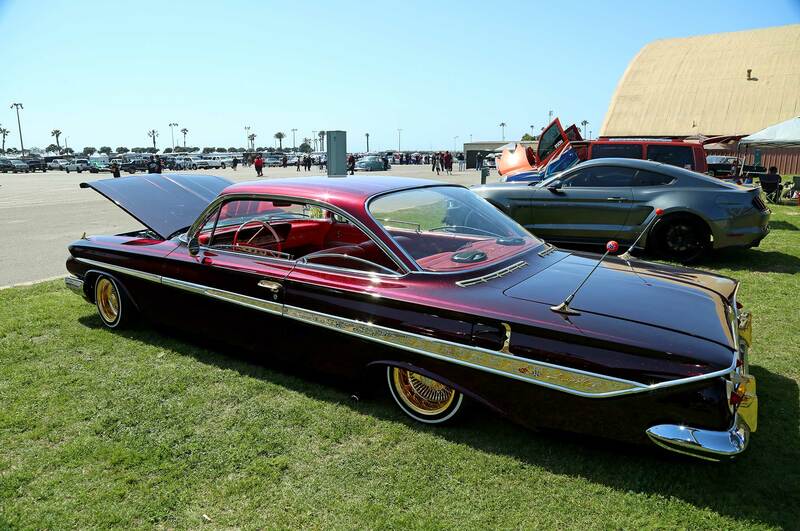 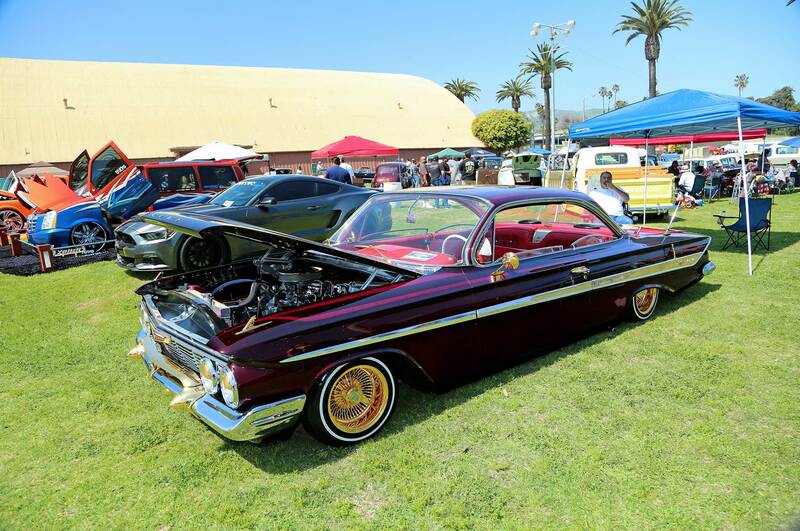 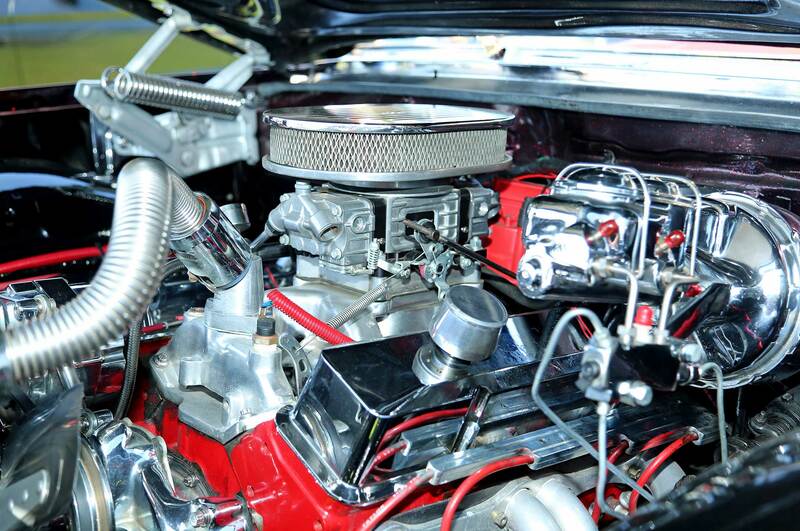 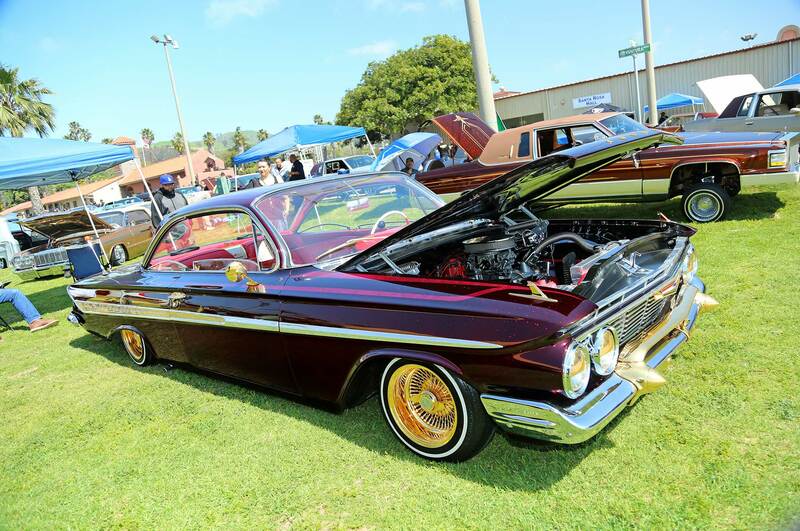 This bubbletop ’61, sitting on gold Daytons, belongs to Gerardo Raya. 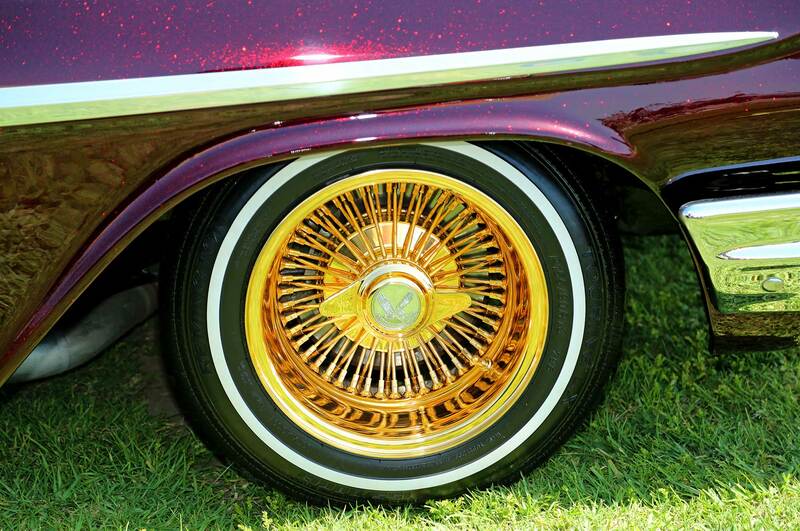 The Chevy is doused in candy Brandywine paint with jumbo flake. 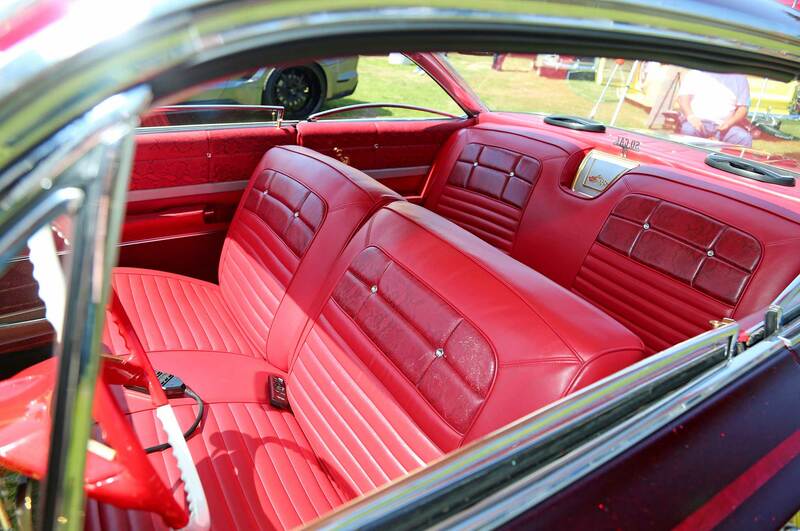 The custom red leather interior has a mixture of original 1961 and 1962 pattern with snakeskin print inserts. 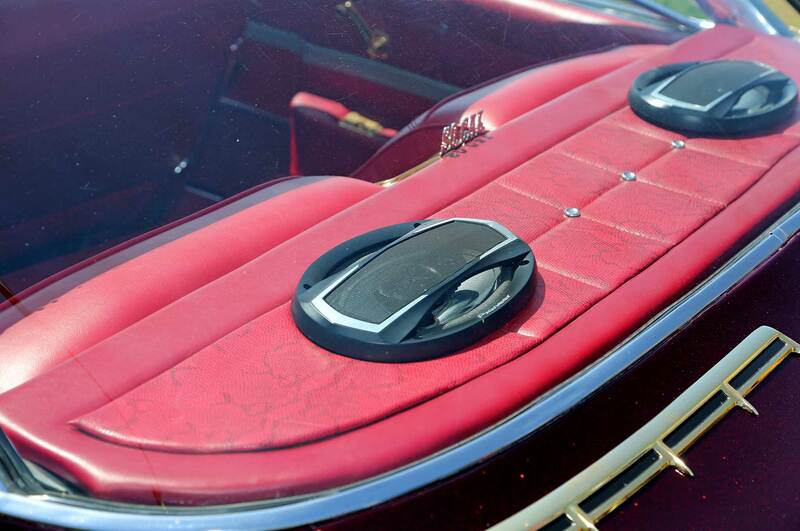 The roof also displays a snakeskin pattern. 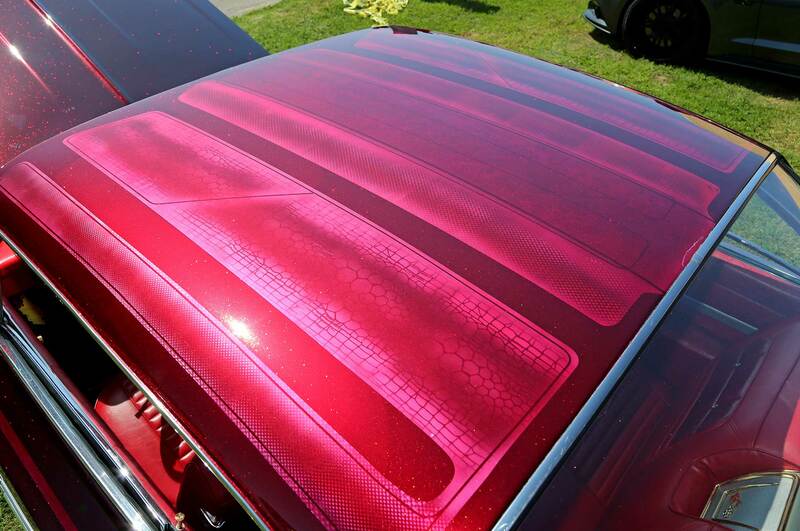 We will be doing a full feature and bring you more on this bubbletops snakeskin theme.